The Truth About Police Cars. Well, more like my opinion. Not sure if this will come as a total surprise, but my entire adult life, my main occupation has been a police officer. 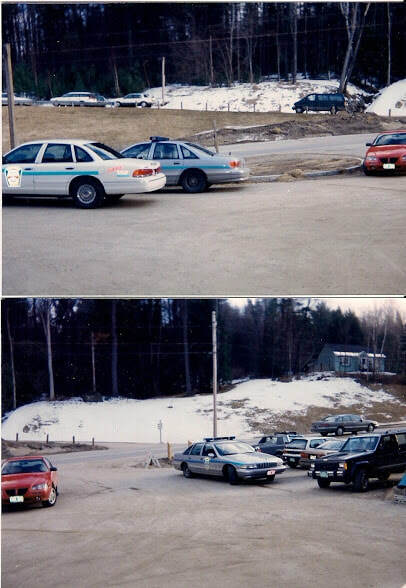 I started when I was 20, and still in college at Norwich University - America's oldest private military college. 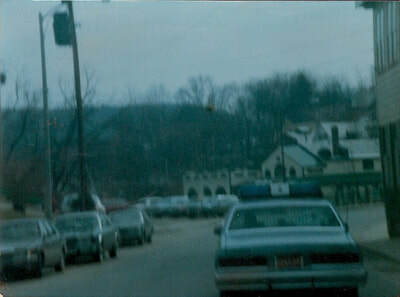 My first day, was December 22, 1989. Times really haven't changed much since then in terms of duty - maybe a little more complicated; maybe a little more people on bath salts - but in general, the job is the same - you answer complaints. Other things you do, is drive around, waste time, watch TV, endure endless staring at restaurants as ketchup squirts out of your burger, hope no one spit on that burger, smile and laugh at boring and lame donut jokes. 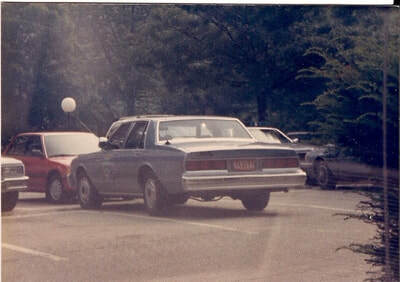 Anyhow, when I first started, the department I worked for was made up of boxy style cruisers. 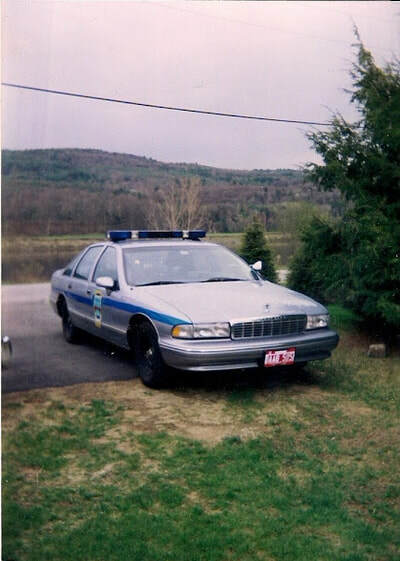 My first cruiser was a 1986 Plymouth Gran Fury, and after that, it was Chevrolet Caprices right up until 1995, when the department bought Crown Victoria's exclusively. I've been bombing around in them for work cars for many years, and have owned quite a few old ones that came up for auction. 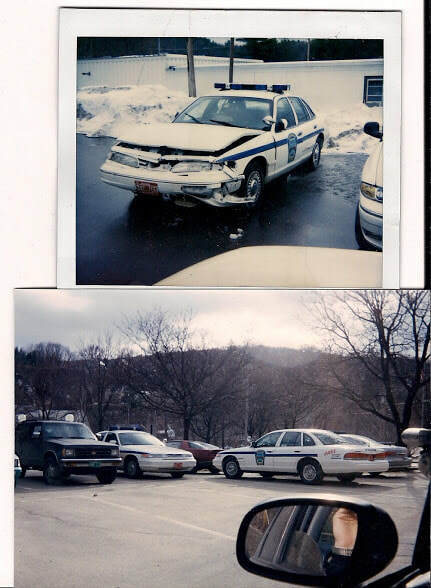 All told - I couldn't even count how many police cars I've driven over the past 29 years. My first night alone - they threw me the keys to that Plymouth Gran Fury, and I was on top of the world beyond all reproach. No cop forgets their first time out alone. And so it goes - as I fast approach the end of the line in terms of a career - and while I don't wish my life away, all I can say as the end of this career approaches, is - - - -adios. The thought of parking myself behind the wheel of a patrol car depresses me. I just simply won't look back, and I will certainly not be one of those guys with PBA "retired" stickers on my car, or bore anyone with my boring stories. It will be like pulling teeth to get me to say what I used to do for work. 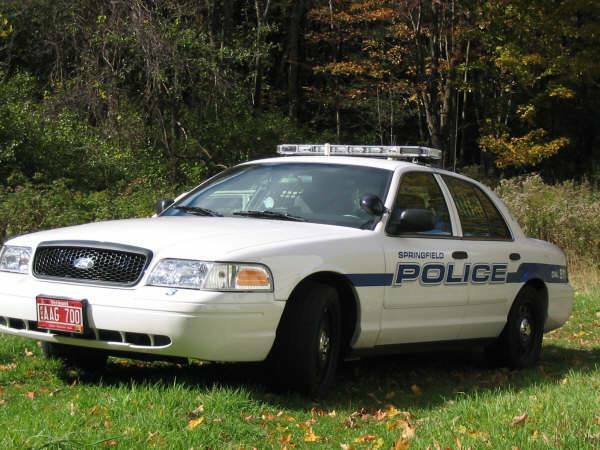 My last assigned cruiser was a 2011 Caprice with the 6.0 liter. It was insane. But - no more. And the occasion came one day, when a thought bobbled about in my comical cop head, that it would be important for me to buy an old cruiser that I actually used at one time. You know....be the cute old man someday that drives around in his work car. Anyhow, all my old cruisers were long gone, and the 2011 Caprice had recently sold at state auction for over $7000. Except one. 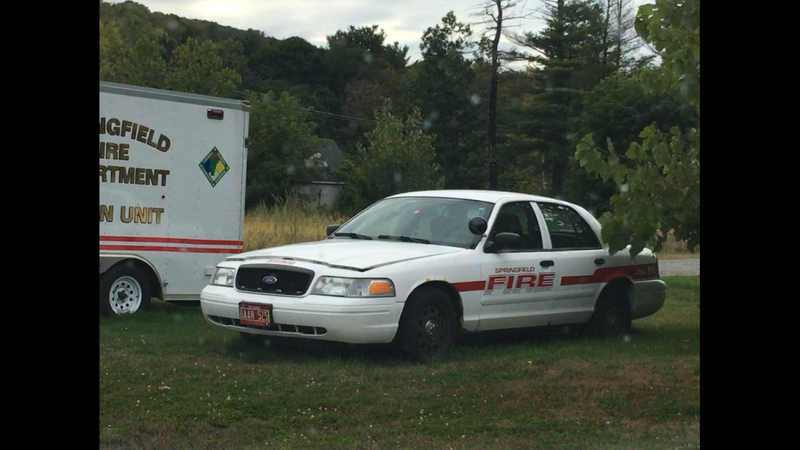 Now, in my town, behind the fire station, I noticed one of the old Crown Vic's that the fire department had obtained from the police department back in 2011. It had been sitting in a forlorn state on a patch of grass for the past year and a half. 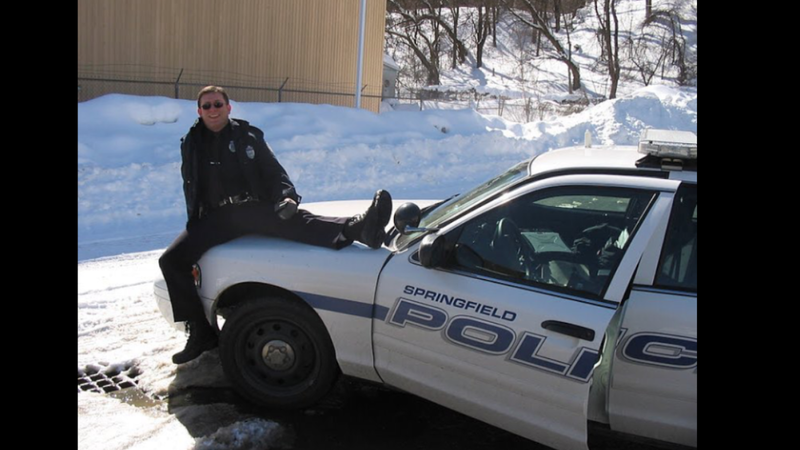 The car was a 2007 Police Interceptor, and at one time - in it's more glorious past, was EQ#3 for the Springfield Police Department. EQ by the way stands for "Equipment." Cruisers in my state are all referred to as EQ's. Always thought that was stupid. At the Fire Department, it was called "Car 2." The guys at the Fire Department had a new acronym for it: POS. But they always feel that way about things on wheels that are more than a year old. 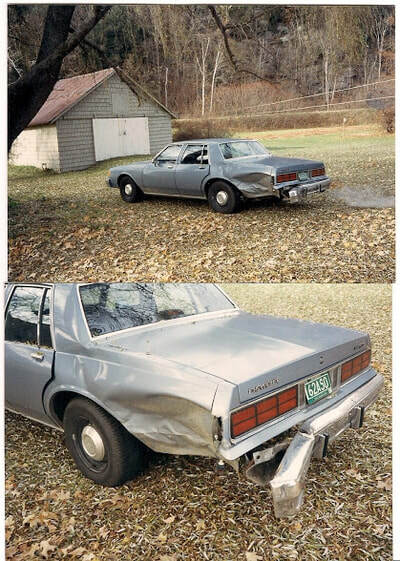 The car had a cracked windshield, the hood wasn't latched, had some rust in the left front fender, the rims were ALL surface rust - and was waiting for approval by the powers that be to sell it at auction. I made several several several inquiries. It was driving me nuts - and I was worried about it's fate. 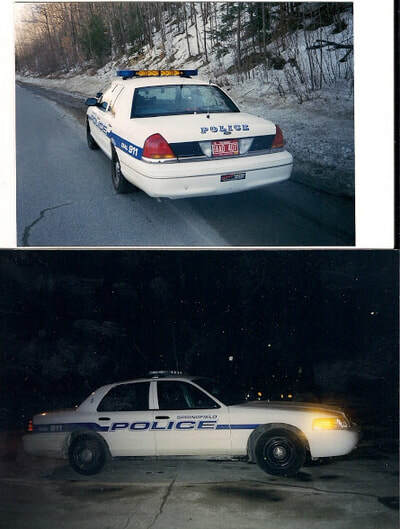 I used to drive this car when it was a cruiser, and as luck would have it, I had taken pics of it when it was brand spanking new - when the department had created a website and I was asked to take pics of a cruiser out and about during my shift. What luck. This would be my last chance ever, to own a cruiser that I once drove as a cruiser. Act now or forever hold my peace I guess. According to my sources, there were two people, besides me, interested in it. 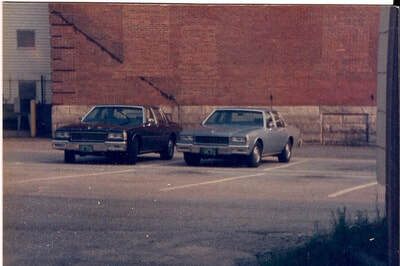 One was my friend, a Crown Vic enthusiast and dispatcher, who had recently sold me one of his old ones, and he was now aching for another. The other interested party, was one of the town mechanics, who....and brace yourself for a cyclone bomb of frozen heart....wanted it for a DEMOLITION DERBY. Time to refill the Xanax script. 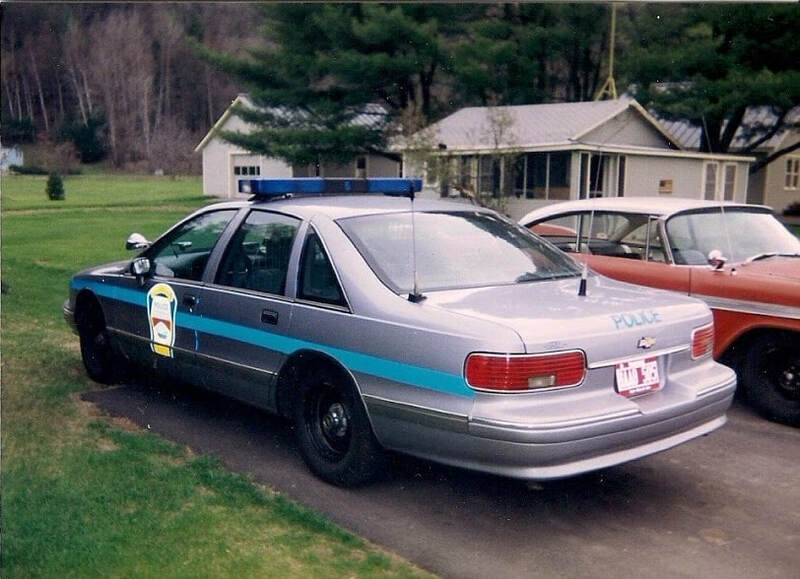 So, after 22 years of Crown Victoria's patrolling my town, this was the very last one. All the others were gone - replaced by goofy looking Explorers. No way on earth could I allow this historic squad car end it's life being spun around like a starved gladiator in an arena getting cheered on with thumbs down by the Roman redneck mob as Camry's and Grand Am's smashed into it. 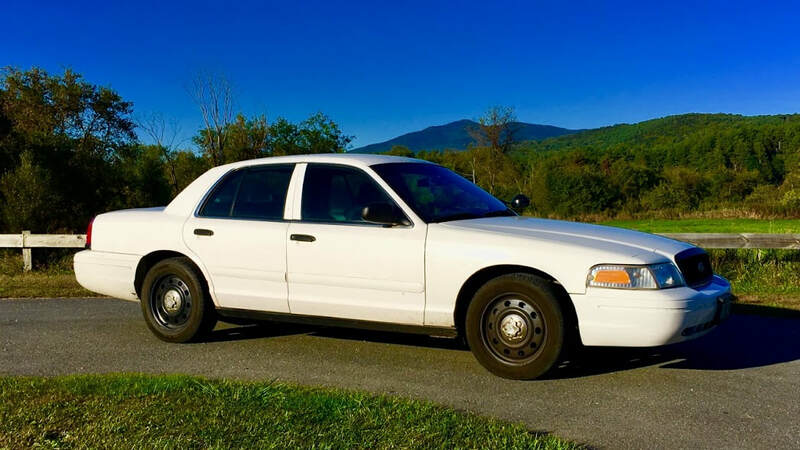 I chatted with my Crown Vic friend and encouraged him to bid on the car. I wasn't going to - since I already had his old on - if he was going to bid. It didn't feel right to me, plus, I knew he would eventually sell it to me sometime in the future. The important thing, was making sure it didn't end up in a demolition derby. Seriously was losing sleep over it. 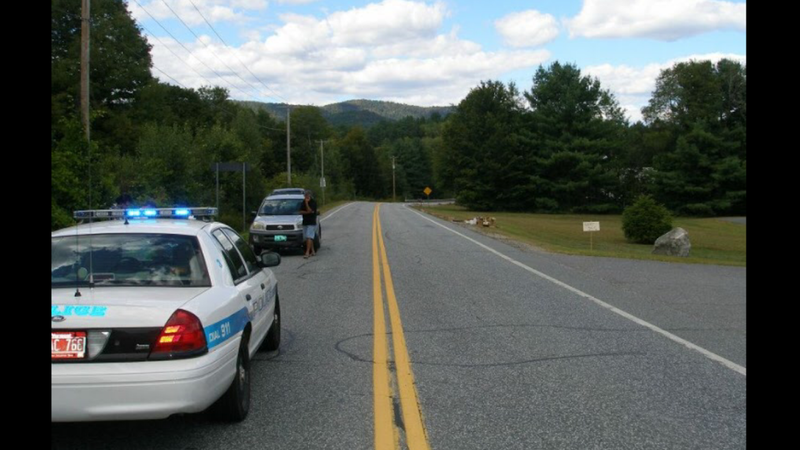 Everyday on my way to work, for months, I would crank my neck as I would drive by to make sure the Crown Vic was still killing grass out in back of the Fire Department. Long story short - my friend won the car. Total cost: $101.00. He was the only bidder. My friend took the time to remove the old Fire Department decals off, drove it a little around town for a like a week or two, and then, a spark plug blew right out of it. He told me he wasn't feeling it, and instead, felt like the car really belonged to me, which I have to say, was quite a thrill and admirable thing to hear. He had already replaced the windshield and bought a new battery for it - and sold it to me for what he put into it. Total cost: $485. Forever indebted. The problem with decal removing, is the sticker itself comes off great - but what I was left with, was the adhesive, which attracts dirt, and presto magico, the lettering all comes back to life. Once the snow melted, I was able to spend about 12 hours getting the workout of my life getting the adhesive off. I hadn't moved my hands up and down with such fever and conviction since I was 13. Seriously, it was a lot of work. 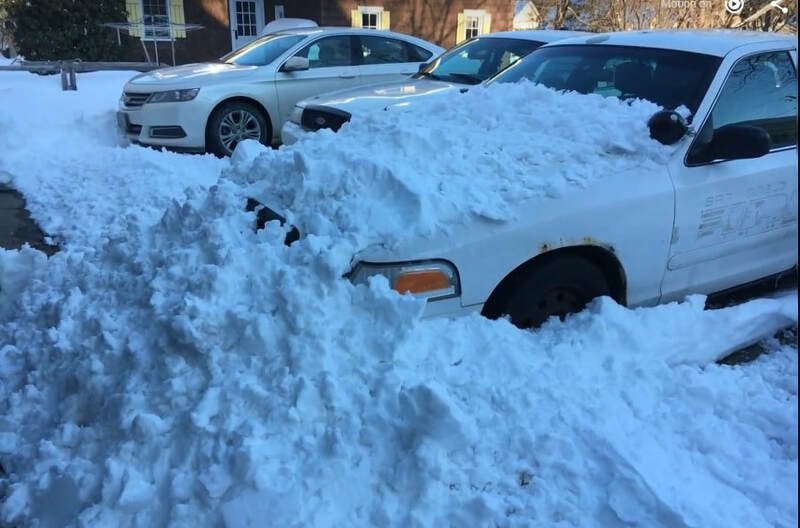 The biggest challenge in owning any car that has spent it's entire existence braving the elements of the northeast, is dealing with the rust caused by salt on the roadways. By the time a car is 10 years old, it's really worked it's way into the body. On my car, it's the left fender that is worst. The rocker panels underneath too, are eaten away pretty good. The right fender is in great shape, as well as some other body panels, only because they've been replaced. According to the vehicle's maintenance records, not only was I aware that the oil was changed every month, regardless of miles, but that it had been involved in 5 accidents. One of the accidents was when the car was literally a few months old when one of the guys slammed into a deer causing $6000 worth of damage. Once I got the adhesive off, I then removed rust from the wheels and painted them and just did a general good cleaning. I also heli coiled the spark plug hole and got that fixed so it was back to being a V8. Nowadays, I use the car to keep the mileage off my newer car, and it's been terrific. Few piddly issues here and there, but in general, A1. I've taken it all over upstate New York, all over Vermont (literally), New Jersey, New Hampshire, Connecticut, Boston, coast of Maine and New York City. 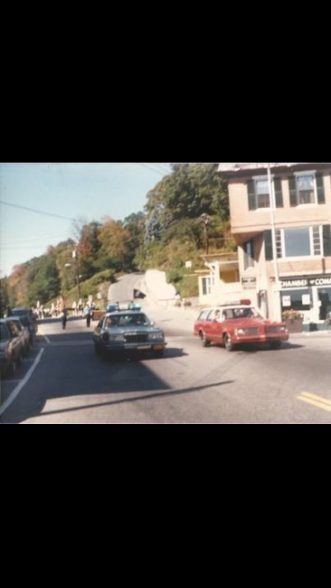 When it was a police car, it performed usual patrol for about three years, and in it's fourth year, was in good enough shape to stay in the fleet as a sort of bang around spare. For the most part, it was used during one summer when a large paving contract was being completed, and the car did traffic duty - pretty much just sitting and idling all day long. The car has 4200 idle hours. One idle hour equals 32 miles of driving, so - there's that. The mileage on the car is True Mileage Unknown (TMU). The electric speedometer cluster doesn't always work, and I've noticed that when the odometer does decide to make a surprise appearance, that it is only tracking miles when it is actually on and visible. So - I would guesstimate the car has about 160,000 miles on it. Don't know - don't care. At the end of it's fourth year, the Fire Department assumed command of the steed for their use. It was primarily used by the Deputy Chief, and as a training car for the firefighters when classes were held out of state for the EMT's. So - quite a long history with the car not really being owned or cared about by anyone. And technically, it still remains a police car. Since I use it for work, I have a state issued blue light permit for it. It is rare I use the lights for anything nowadays, but on occasion I do - if I am properly motivated by someone's actions. 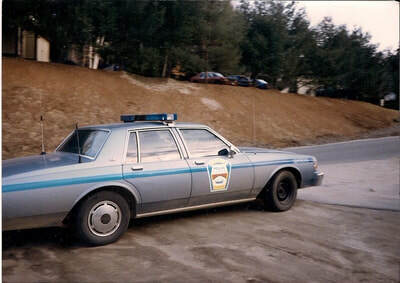 When you drive an old police car, I've noticed that people - when they think it's not a police car, and assume I'm some sort of impersonator, they like to mess with you (tailgate, speed, cut you off after being passed etc.). Unfortunately for those brave and angry souls, since I'am a police officer, and this car is still a police car, the tables turn quick at the flick of a switch. 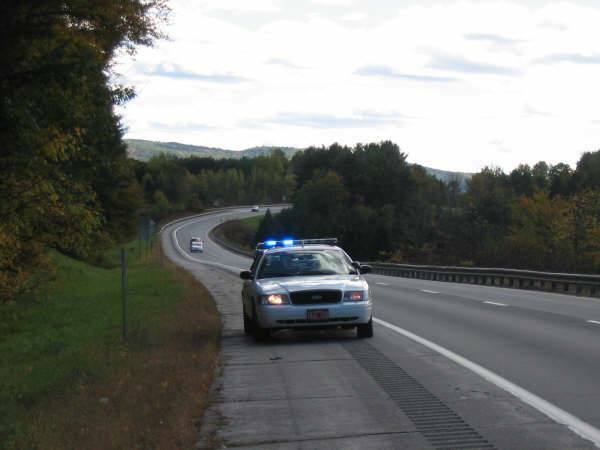 Here's my car stopping by to see my son, who is a deputy sheriff, working a detail on the interstate. Blue light.....definitely required. I belong to a lot of Crown Vic forums - they are great when you need some help from some of the pros that lurk there. In between the guesses and terrible advice from people who don't know anything, you get some good help if you can filter through process of elimination who the ones are that know something. And I think it's great that so many people love their cars. However, despite it all, these cars are not indestructible by any means. 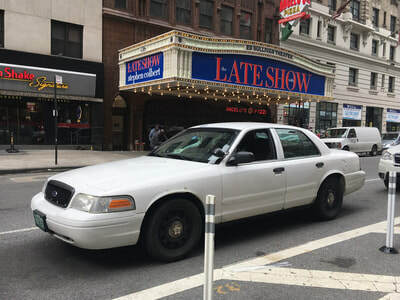 Like any car will die when they get abused , but old police cars really get put through the wringer - often worse than when it was an actual police car. Oh sure, they can wind it up on the interstate, they can spin the tires, they can idle all day long without a hiccup. But, they do break, and break they will. I had a video on youtube at one time sort of explaining all this. It was very low key, purposefully non judgmental - and despite the majority of people getting it, there was still a spattering of knuckleheads leaving stupid comments - taking everything I said to the literal extreme. Got sick of it so just hid the damn thing. Often times, most people buy one of these cars, immediately abuse it on a daily basis, brag about it for awhile with pics/vids on instagram, and then.....it dies......and dies some more.....leading them to frustration, which leads to them losing interest and then they sell it. Then, the new owner does the same thing.....the process repeats itself.....until the car finally has a catastrophic failure that ends up costing too much to repair and ends up as a parts car. 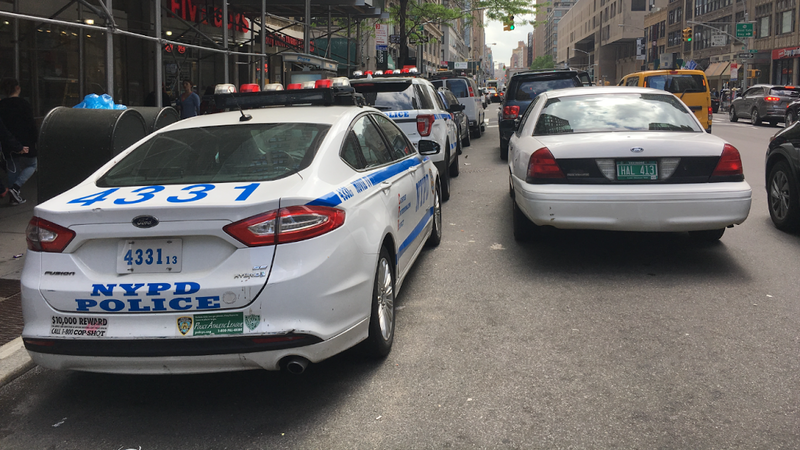 That's the cycle of life for a police car. Well, that and becoming a taxi somewhere. I've been watching this cycle forever. On rare occasion, one of these beauties will end up in the hands of someone who will take care of it, but it's not often. Then of course, is the crowd of people who are very knowledgeable about them. They put mods on them, spend a ton of money and tinker time on them, and for those people - they get a pass. A solid pass. 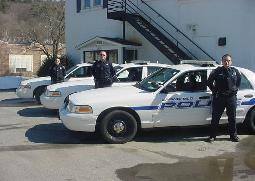 But if you can barely change your own oil, and think you can take a Crown Vic and slip and slide in circles everyday without consequence, then congratulations - you have perpetuated the cycle of life for a police car. 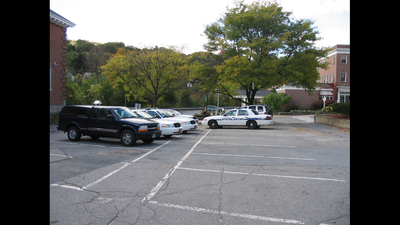 Departments generally get rid of cars for a reason. The biggest reason, is they are tired, or just plain old and are replacing it before things go south. Little things start going wrong.....and then more, and more, and more - regardless of mileage - and then they are replaced. 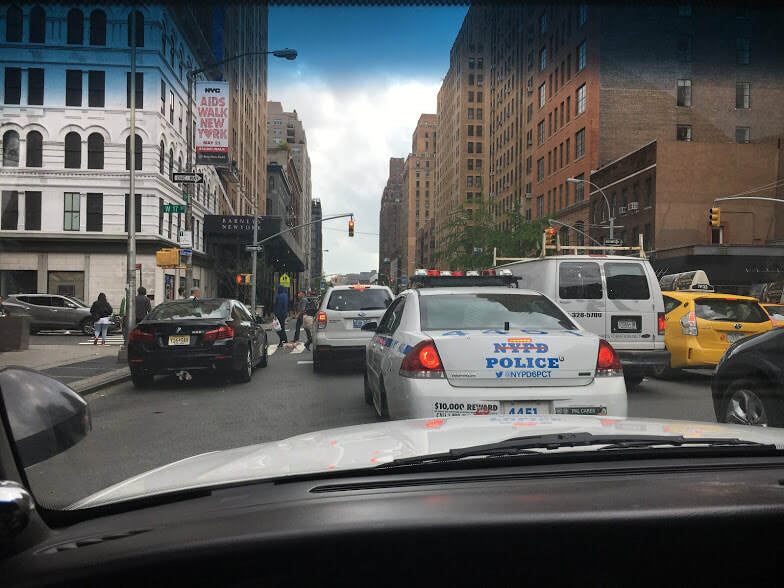 Here's another thing - and it's just my opinion so don't take my head off - but in MY experience, I gotta tell ya - most cops don't care about the cruisers. Maybe when they first start because it's a pride thing, but in general, it's about as exciting to them as the office cubicle you may sit in. It's a car - no more, no less. There are exceptions of course. And yes, even cops who don't care about them, may take good care of them and have pride in their appearance (in equal parts, many do not), doesn't mean they are attached to it, or care about it once the keys are handed over for the trade in. I've had a lot of cruisers that were assigned to me and only me over the years, but i never bought one of them. And I took damn good care of them too. 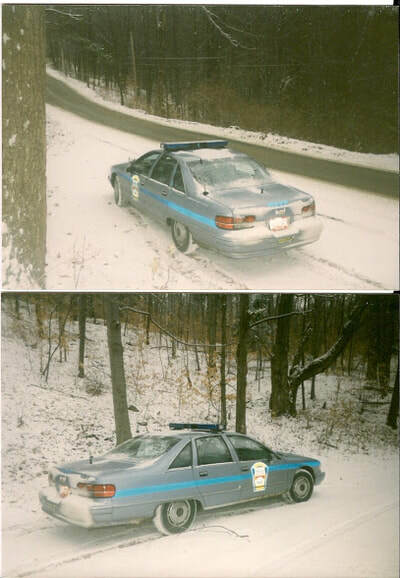 And Crown Vics? The beloved face of law enforcement for so many years? Yeah - I literally know of a very few cops that miss them. They might miss the size and room, but they haven't changed since 1998 really. Nearly 20 years of driving the same damn car for many guys/gals - so, there is no love lost. 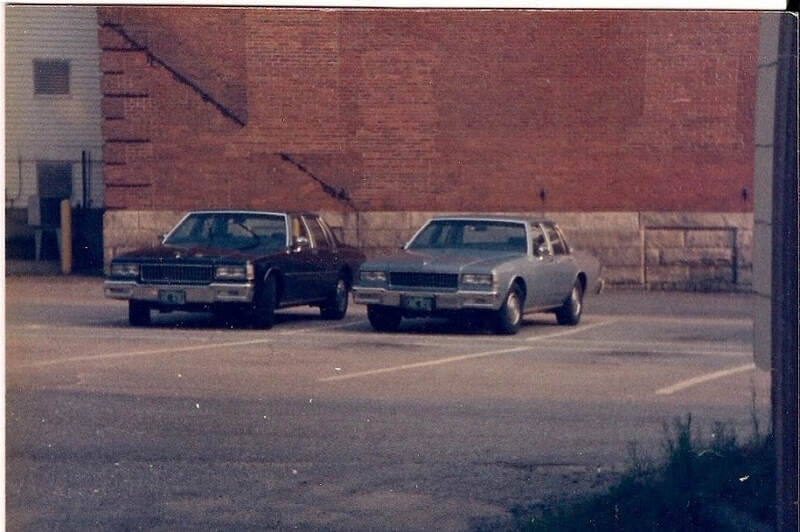 And like the Caprice before them....and the M Body Plymouth/Dodges before those.....the Crown Vic will slowly fade into memory as the new faces become more prevalent and part of our daily lives. 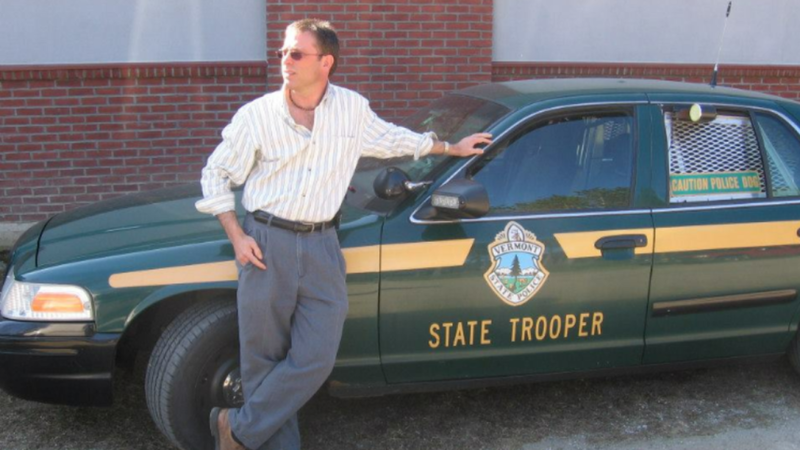 My favorite cruisers were the Chevy Impala. I'm in the minority here with that, but I loved them. Never gave me a lick of problems. 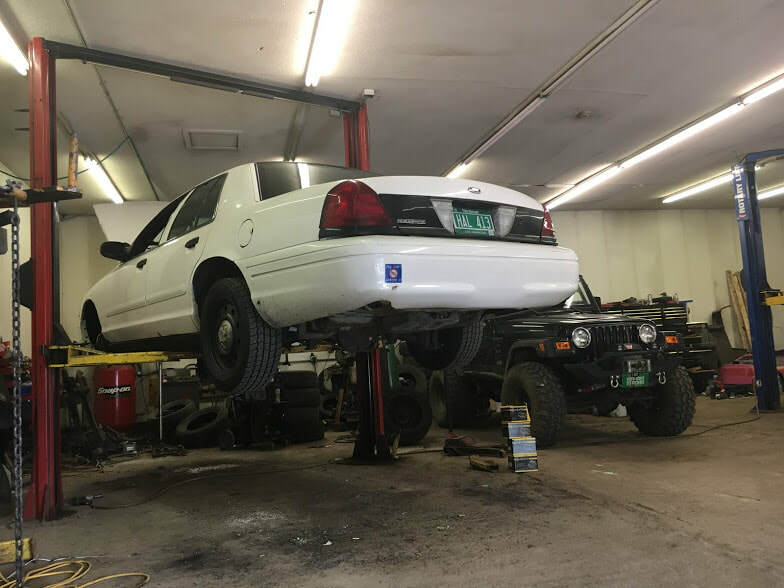 Crown Vics.....always breaking down. 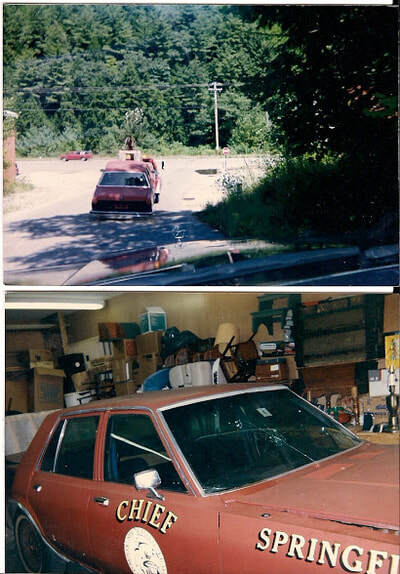 Caprices in the 90's - with the LT1, those too broke down a good share. Transmissions especially. One time, I was driving a 94 Caprice at about 35 mph, just cruising when the rear end just totally blew out of it for no reason. Spent a good deal of time in Impala's with the V6 on the interstate, and never lost a beat down. But, if you're a big guy, then yes it's true, they were not ideal. Case in Point: My 07 cruiser for which this whole post is about. Nobody at the department this car once served wanted it. Even at $100 bucks - nobody wanted it. If I pull in and say to the guys - hey, this used to park in this very spot 10 years ago!......not one of the guys/gals cares. It's a pile of old junk to them. 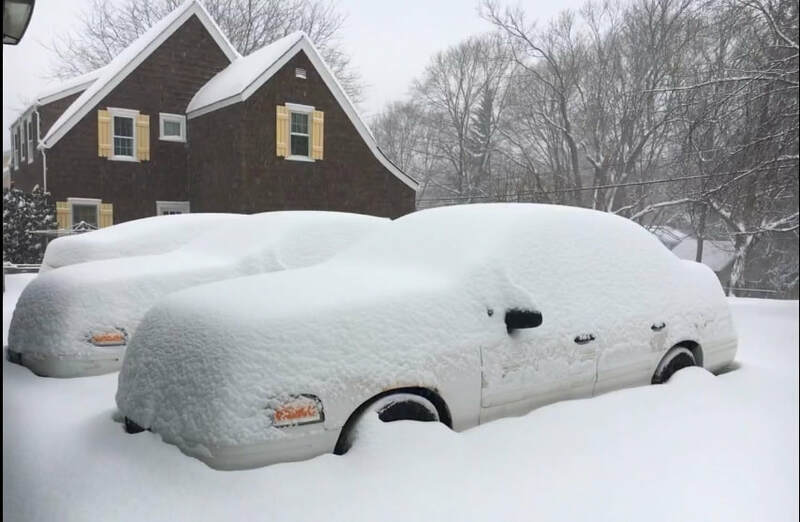 It's a dinosaur -a rear wheel drive nightmare in winter and, while fun to reminisce about, not much more. To a car enthusiast, we think differently about that. 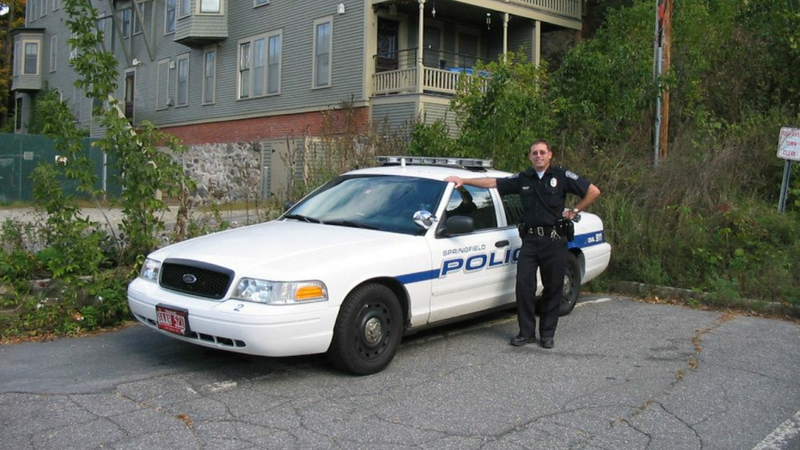 Another thing I often see with people - is letting others know that their old police car was a "Chief's car", or a "Supervisor's car", or a "Detective's car " - like Joe Friday drove it to church on Sundays. Exceptions exist naturally, but in my experience, in my neck of the woods of the U.S., being any of those things doesn't mean much. 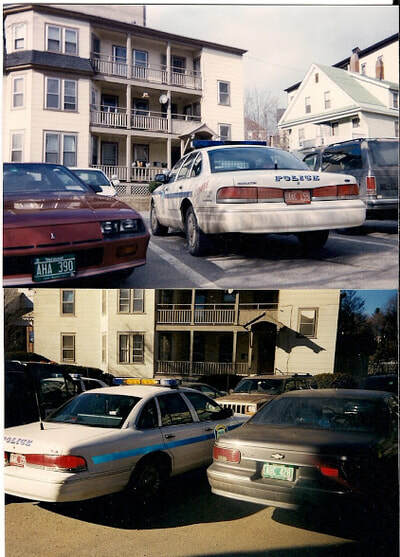 Most Detective cars, are old patrol cars repainted and/or cleaned up. A supervisor car? Like a supervisor is the Dalai Lama and the car never sees any sort of action at all? 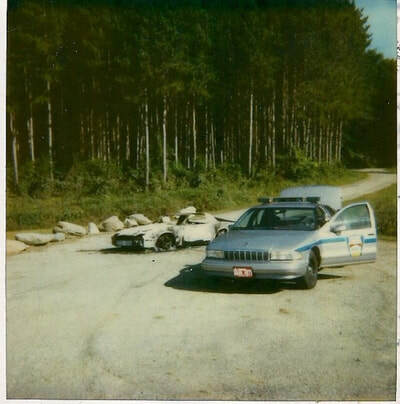 My 2007 in this write up was a Supervisor's car - and it was in 5 accidents. And it carried around drunk people, and angry people etc. 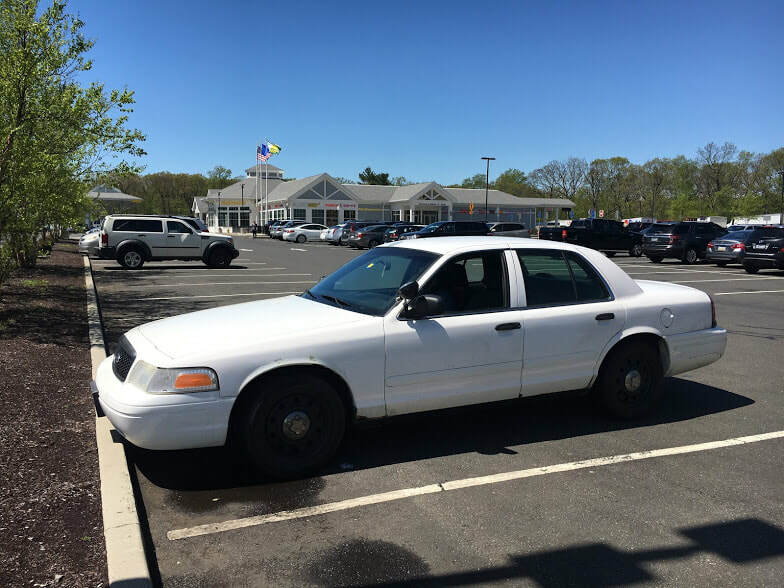 A Chief's car......unless it's a bigger department, many times a Chief's car is also just an retired patrol car - usually a low mileage one. It doesn't mean much. 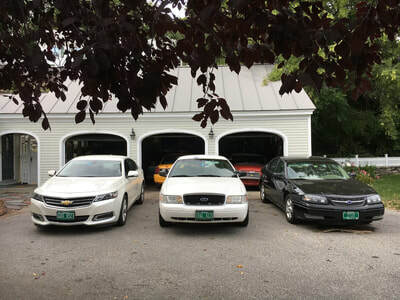 In this old department of mine, the Chief likes having a new car all to himself, and he is the only one that I am aware of who buys himself a new car every couple of years. 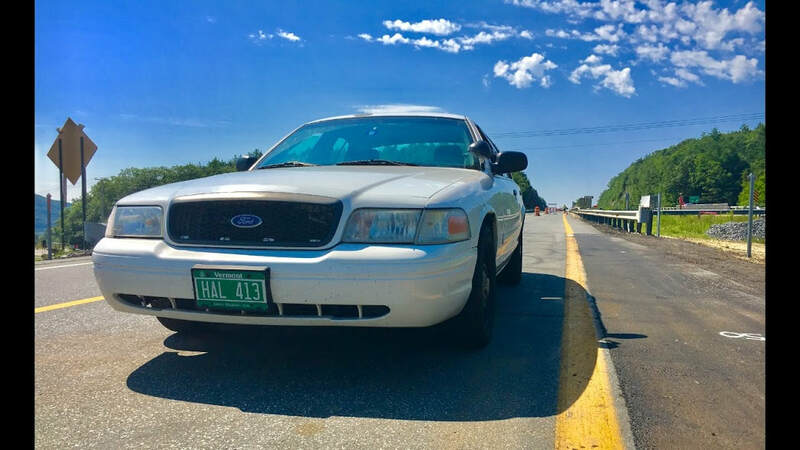 When it's time to retire it, the Detectives use it - and sometimes they use their cars for patrol if they have to fill in a shift. 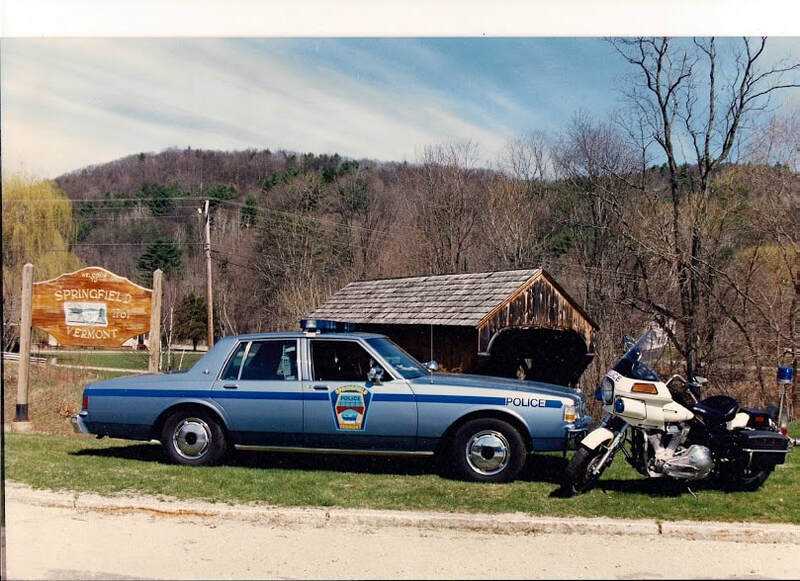 In my last state agency, I was also a Detective there, and in that case - yes....a true blue police packaged car was issued to one person that rarely saw any sort of abuse. Although I would do overtime on the interstate with it for speeding and stuff, which was rough on them. 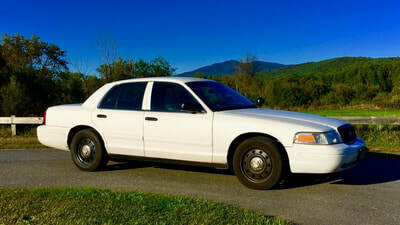 But think about it....if you want a old police car in your life, you should want a.....police car! Come on! You should want the interior cloth tears, the scratches, the dings, the dents. But that's just me. State Police vs. Local Police. In most cases, a state police officer's car is going to be with one person it's whole time. Such was the case with my cars as an employee of the state. A local PD car, is used by several different officers. At the end of their life - I've not seen any discernable difference in either appearance or mechanical condition. 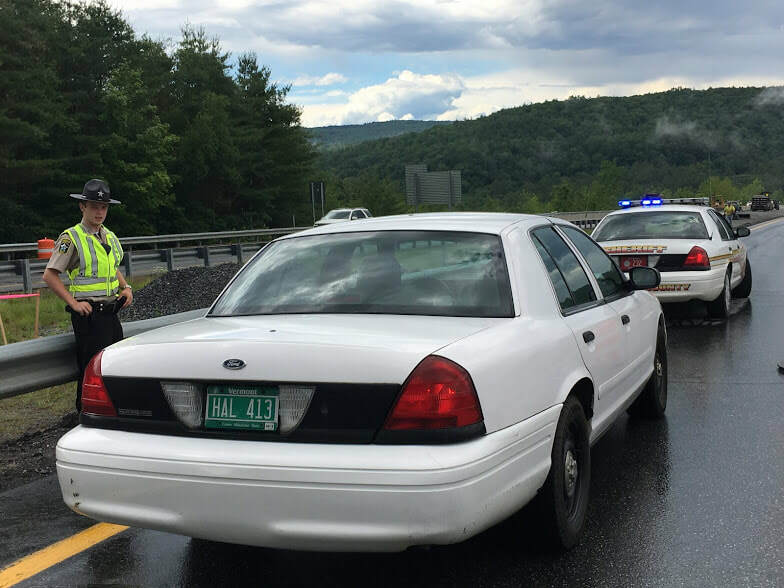 Some people think state police cars are "faster" or were ordered with the X5 rear axle. Got news for you - when these things are ordered, most the people doing the ordering have no idea what they are doing. They just either order the cars, or someone from the dealership checks off the boxes. 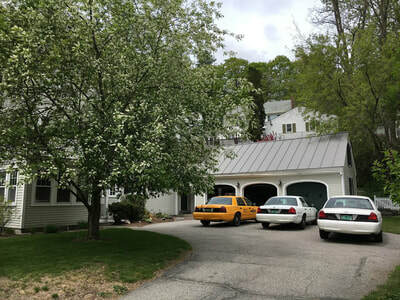 Many times, departments buy what the state bid dealership has already ordered and is on the lot. 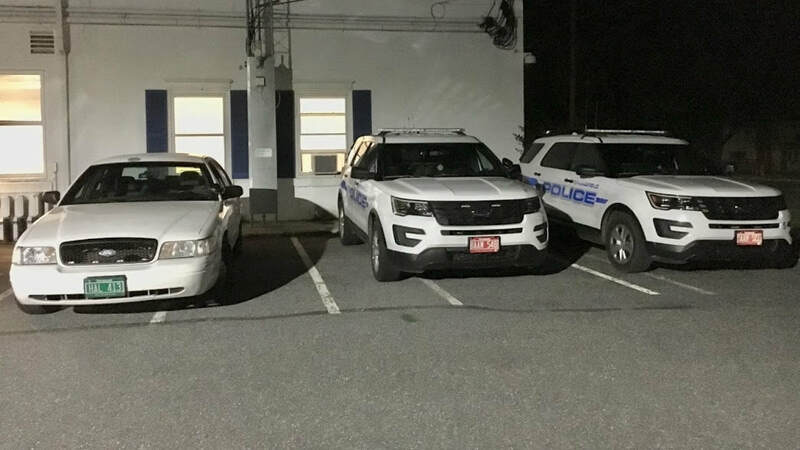 My old local PD car has the X5. I've had state vehicles that didn't. 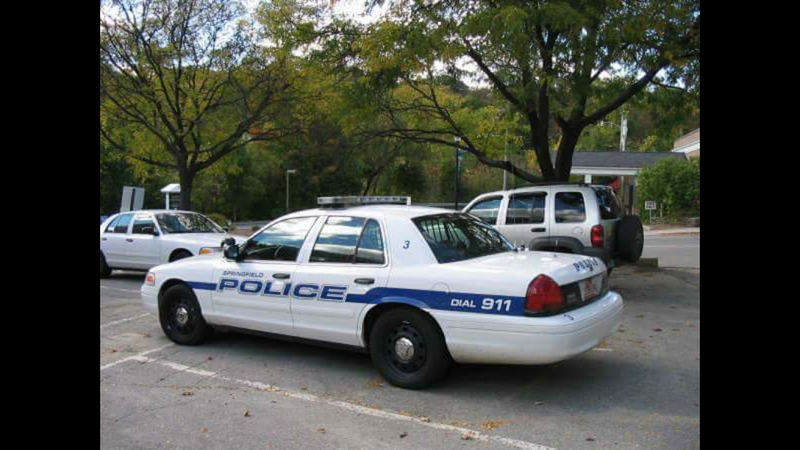 No cop knows, or cares, what rear end is in their car - unless they are a gearhead, and that is not very often. Just hit the gas and go. It doesn't make a lick of difference. Anyhow, this is all just my take. My opinion. It doesn't matter where your cruiser came from, what agency, how many drivers it had, what it did and didn't do. 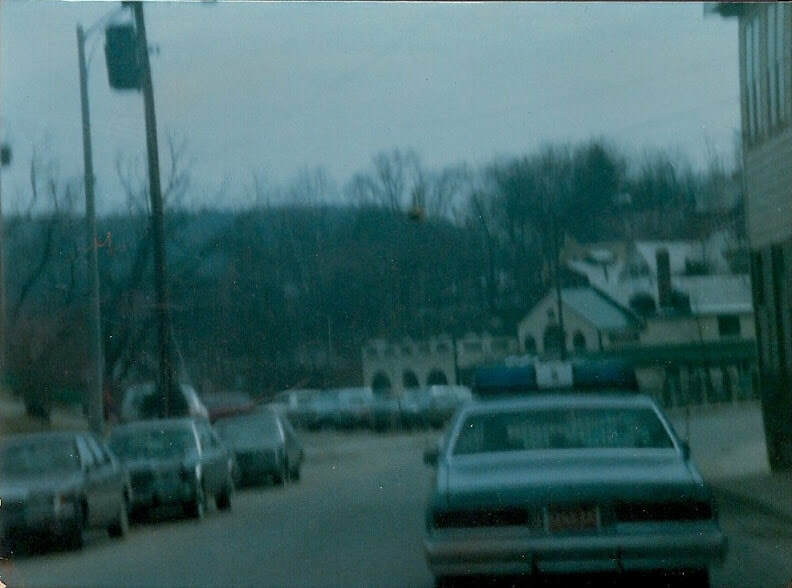 It's a retired police car. Whether it's dented, or in mint condition - it's the luck of the draw on what you get. As long as you drive it like a normal person and don't abuse it or drive it like it's in a hot pursuit everyday, it will probably last you a lifetime. 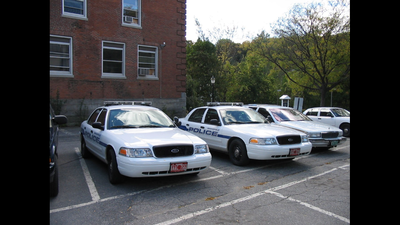 I know a lot of people like to buy emergency lights and old cop equipment for their cars. While it isn't anything I would do, I understand that it's either fun or interesting to others. As long as you're cool on the road, don't tailgate people, or ride in the left lane all the time and play highway patrol, then God Bless you. 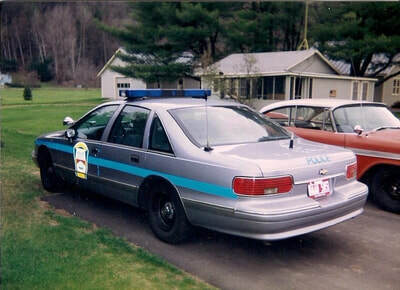 In another year or two, the Crown Vic will be so obsolete most people will automatically know you're not a cop anyways. Already seeing it. Even with blue lights across my rear deck and a radar unit etc., people literally pass me all the time. They don't even PEEK over at me - just hammer down. 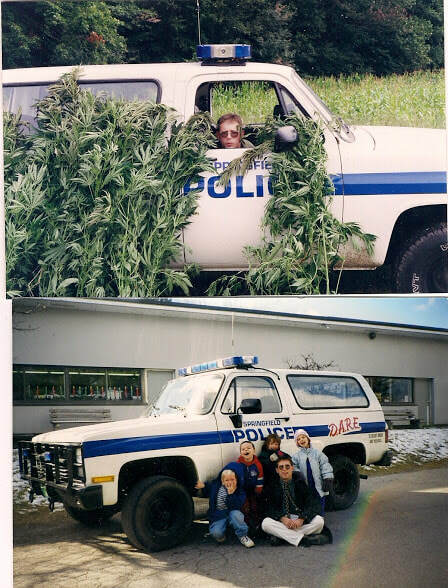 So that's the story of my old police car. 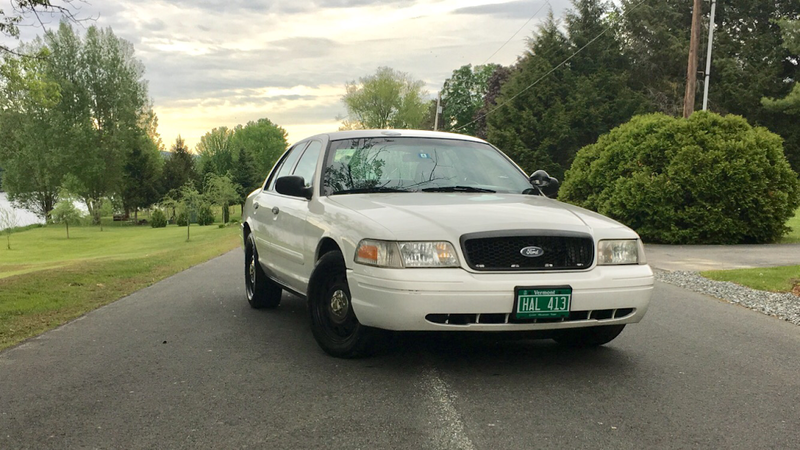 The last Crown Vic (around here), and my last chance at owning one of my old police cars. I'm certainly glad it has a home now.